Apartment overlooking beach and bay in St Kilda Melbourne Australia. 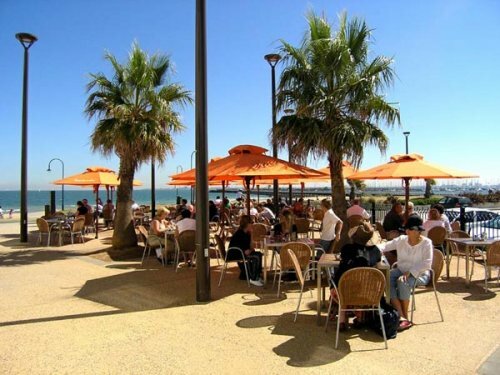 St Kilda, a bayside suburb 7km from the Melbourne CBD is considered to be one of Melbourne's most fashionable suburbs.. Fitzroy Street with its cafes, restaurants, bars, and tables spilling onto the footpath, is one of Melbourne's most attractive eating and drinking streets. 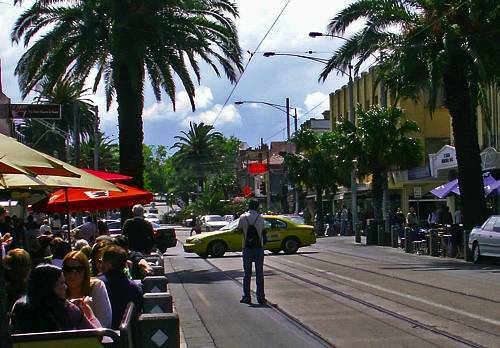 Acland Street has an eclectic mix of restaurants, wine bars, continental cake shops and independent music, book and second-hand stores. During the day the streets are lined with people drinking lattes; at night the clubbers come out to play. There are many Victorian terraces, historic mansions, art deco buildings, and modern flats and apartment blocks. 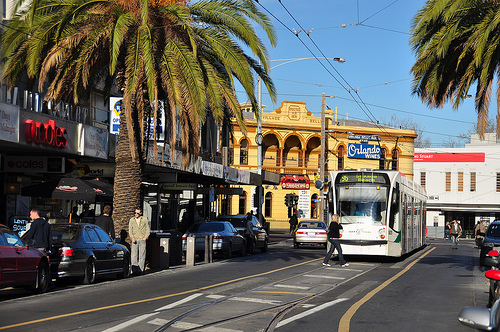 It is well connected with many tram and bus services. Attractions include Luna Park, St Kilda Beach, St Kilda Sea Baths, the St Kilda Public Gardens, and the St Kilda Pavilion. Popular venues include the Esplanade Hotel (The Espy), the Palais Theatre, the National Theatre, and the arthouse cinema The Astor Theatre. St Kilda was once a seaside resort for genteel Melburnians but today it exudes a heady dose of cosmopolitan cool and is treasured for its independent vibe. 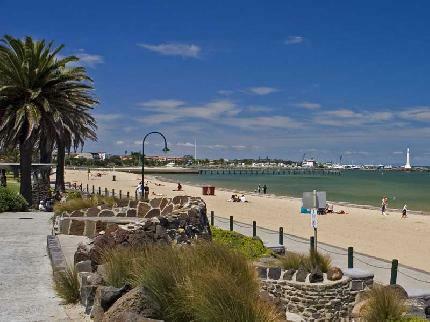 Melbourne's favourite beachside suburb - join locals who walk, cycle and skate along the foreshore or sail, windsurf or kitesurf in the water. You might see little penguins at the St Kilda Breakwater. Enjoy fine dining at Donovan's and fabulous seafood at the Stokehouse, and live music at venues such as the Palais Theatre, the Esplanade Hotel and the Prince Bandroom. 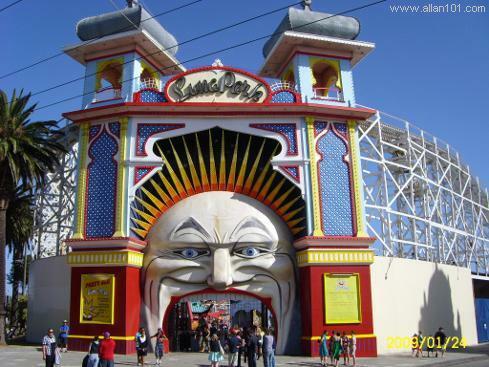 Get a thrill on a ride at the iconic Luna Park and visit the Sunday St Kilda Esplanade Arts and Craft Market. The St Kilda Sea Baths feature a 25-metre indoor seawater pool and Spa Dreamtime is the only spa in Australia using purified sea water. Fitzroy and Acland streets have cool cafes, restaurants and bars, and there's a selection of independent music and book stores, as well as a growing collection of fashion boutiques. Acland Street is home to Linden Centre for Contemporary Arts located in a Victorian mansion. Hear the languages of many European cultures on Carlisle Street. Grab a bagel at Glick's Cakes and Bagels, a coffee at Wall Two 80, or lunch at The Local. And explore and share the Jewish experience at the Jewish Museum of Australia on Alma Road.